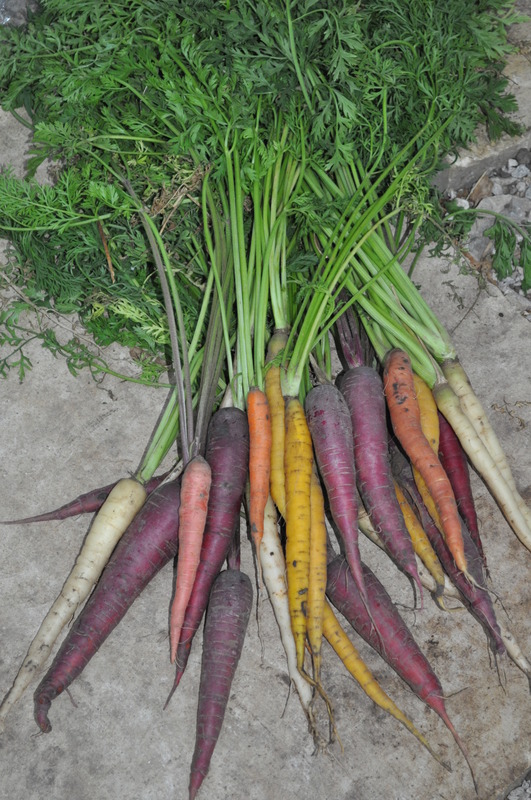 Beautiful Kaleidoscope Carrots we offered a few years ago. We plan to have these again this year! A fun way to get kids to eat their veggies is to offer rainbow colored carrots!